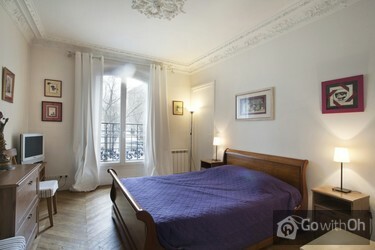 This lovely 55m2 apartment is located in Paris 13th arrondissement and is the ideal choice for a stay with family or friends. The property is situated on the first floor of a building without a lift and can accommodate up to 6 guests. The apartment features a spacious living room equipped with a double sofa-bed, a dining table and chairs, and a flat-screen television. You will also find a decorative fireplace and a large window that looks out onto the street. The kitchen is located separately and looks out onto the courtyard. It comes equipped with everything you might need, including electric hobs, a microwave, a mini oven, a toaster, a coffee maker, a kettle and a dishwasher. There are two bedrooms, both with double beds. The first bedroom contains a wardrobe where you can store your belongings, whilst the second comes with a chest of drawers. 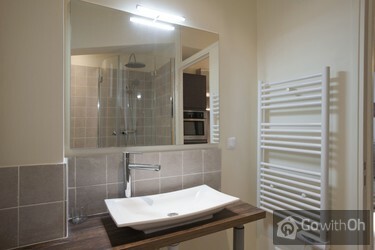 Lastly, the bathroom features a shower and a washbasin. For extra comfort the apartment features a Wi-Fi internet connection. After 21:00, extra cost of 25. Check in and/ or Check out on Sundays or French public holidays is subject to an additional charge of 25. Excellent! Perfect location and beautiful apartment! Algunas mejoras mínimas en el mobiliario mejorarían la calidad del apartamento, así como mejor equipamiento del menaje del hogar. The apartment was nice and well furnished however the linen was unsatisfactory - we were only given four towels for five people, the blankets had stains on them, there weren't enough sheets to cover the four beds that we used, pillows were very cheap and not enough for five people and they provided ...cheap disposable pillow covers rather than proper pillow cases. 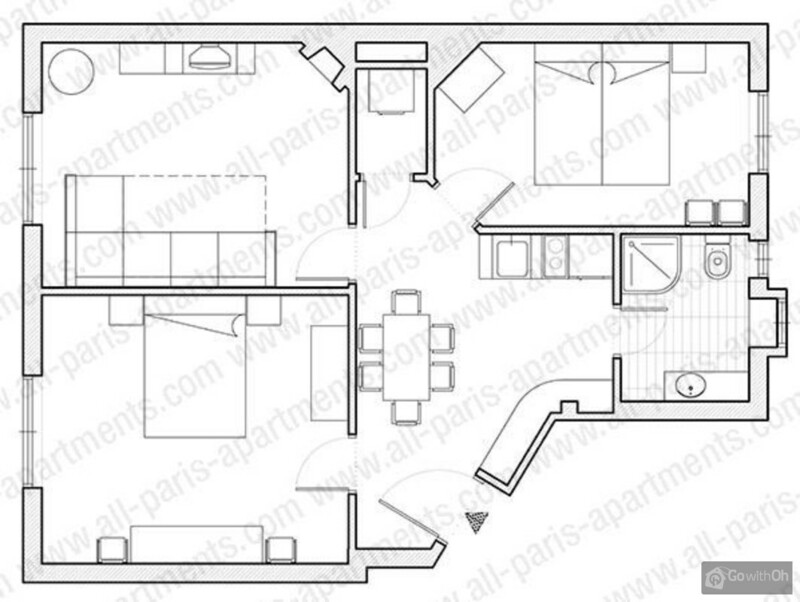 I don't think that the apartment really is suitable for six people as the bed in the master bedroom is tiny. The contact for the apartment Alexia and her boyfriend were very nice though and apparently live an hour away so we didn't feel appropriate ringing and asking them for more. I'd stay again but check the linen before you hand over the deposit. Also - there is a lovely Saturday market right outside the apartment and a bar underneath. 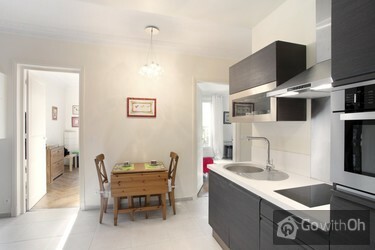 Very nice apartment at good location. We stayed 6 people and it was just fine. There is everything that may be in need especially the internet! I would recommend it to my friends who what to go to Paris. 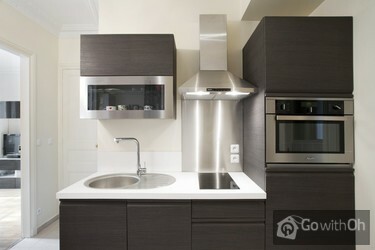 Very good apartment, clean and spacious. The owners were very helpful and very flexible, allowing us to check-in and check-out exactly when we wanted to. Its a shame the closest metro is currently closed for refurbishment, but its not far to walk to the next nearest. Couldnt be more convenient for ...the supermarket and boulangerie. Highly recommended. I will definitely go again! si potrebbe installare il condizionatore cosi' si potrebbero tenere chiuse le finestre ed evitare i rumori della strada. si potrebbero mettere degli armadi nelle camere. Leider mussten wir bei der Ankunft eine 3/4 Stunde warten (wir waren eine 1/4 Stunde zu früh und die Kontaktperson kam eine 1/2 Stunde zu spät). Wir vermuten, das die Kontaktperson erst nach unserem Telefonanruf sich auf den Weg zur Wohnung gemacht hat. Bei der Abreise lief es analog, jedoch haben... wir bereits 5 Min. nach dem vereinbarten Termin angerufen. Man konnte sehr viel zu Fuß erreichen; Busstation direkt gegenüber. Eine hervorragende Boulangerie gegenüber, deren Baquette und Croissants uns zu Hause fehlen! (Eine Matraze sollte erneuert werden). Die Wohnung ist geschmackvoll eingerichtet; man fühlt sich wohl. Contact Persons were all really precise what was for me the most important. If i agreed something with them i knew that they will be exactly right time in right place. 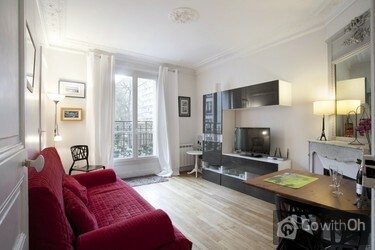 Appartement was great - all of us (6 persons) felt ourselves like home, there was everything we needed for everyday life. Location ...is perfect (not in the too center, but accessible with Metro really well and big foodshop just over the street). I definitely recommend this appartment for groups to rent. 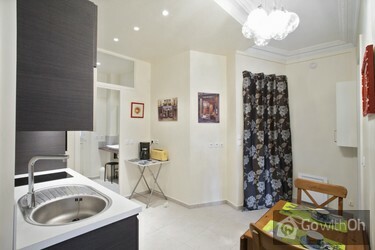 The apartment was very well located, with supermarkets and a wonderful street market nearby. Easy access to main atractions, by subway or bus. A good place to stay for a couple of days. The cooking equipment is very simple. So don't expect to cook a full meal. And the electricity got off the moment we turned the cooker on. You hear the noise of the neighbours, but from the street comes very little noise. The accommodation was comfortable and more spacious than expected but the toilet is not fit for purpose and blocked on more than one occasion!! The landlady reacted to us reporting the problem with the toilet by accusing us of putting things that we shouldn't have down there and threatening to ...withold our entire deposit- not good service at all!! Overall, I would defintely recommend this apartment but do be careful with the toilet!! Schöne Altbauwohnung, bei geöffnetem Fenster ist der Straßenlärm zwar zu hören, er stört aber nicht sonderlich. Zu fünft hatten wir ausreichend Platz. Ein größerer Topf hat in der Küche gefehlt, sonst haben wir nichts vermisst. Very appriciated the owner's friendly & warm service. The apartment was very comfortable & clean. It's suitable for family & group stay. I'll come back for sure. 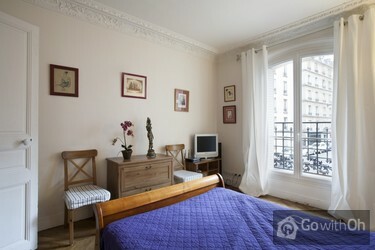 all paris apartments: Very good booking system, and convenient. 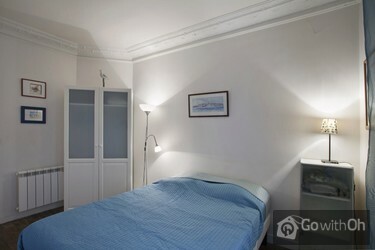 L'appart était super pour nous 6, comfortable et dans un quartier tranquil, près de la gare et de plusieurs lieux importants a visiter, mais quand meme un peu loin du centre ville. Le loyer était pas mal. It was a nice place to stay for a couple of days. The contact person was so nice and friendly. But I would like to recommand you take your own towels instead using the provided ones. 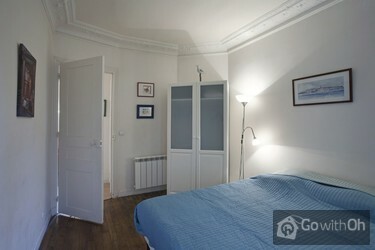 Nice appartment, not too far away from the metro station. Clean, spacious. i can definitely recommend this place. Ottimo alloggio: pulito, curato, ottimi riscaldamenti autonomi in ogni singola stanza. quartiere tranquillo e in un ottima posizione rispetto alla metro. Consigliato sia per famiglie che per giovani! E' ideale per una breve vacanza con la famiglia. Noi siamo stati benissimo in 6 . Le camere erano comode ed accoglienti. Le persone di contatto disponibilissime e puntuali. Il rapporto qualita' prezzo e' ottima. Arredamento essenziale, funzionale, di buon gusto. Unico neo il gabinetto: senza aspiratore. L'alloggio era in ordine, corrispondeva alle carratteritiche date sul sito, l'unica cosa è che il bagno non aveva ventola. E una casa modesta. De accomodatie was goed.De elctrische verwarming in de badkamer was niet te gebruiken, snoer te kort. We waren er in december en het was niet erg koud maar het appartement zal niet makkelijk warm te stoken zijn als het wel koud weer is. Verder alles oké. Appartement met leuk uitzicht lag in een ...gezellige straat met winkels , metro en bus vlakbij. Auto kon een paar straten verder in de parkeergarage staan. War alles super, auch von Grösse völig in Ordnung. Auch die Schlüsselübergabe hat problemlos geklappt und wir mussten nicht warten. Wir waren rundherum zufrieden. La partie vaisselle laisse à désirer : Casseroles et poëles méritent d'être changées. Pas de théière. Seulement 6 petites cuillères, 5 couteaux ordinaires en inox ! Pas de couteau à pain - Trois bols et deux mugs pour une location qui peut aller jusqu'à 6 personnes, c'est bien peu. Les ...lits jumeaux ont des matelas tellement peu épais que l'on sent les lattes du sommier. Personnellement, j'ai eu un bon mal de dos à cause de la literie. There is a parking garage in 300 meters. You could supply information: adress and name, 50% discount when reserving in advance by internet, possibility to go in and out the garage etc. That important for visitors by car! We waited 20 minutes for a call back as the mobile phone contact was not available when I called originally. This was stressful. Also light in toilet did not work on arrival and had no windows! Carino ed essenziale! Ottimo per famiglie che hanno bisogno di tranquillità e confort! Wir hatten sehr nette Kontaktpersonen, aber leider hat die Toilette nicht richtig abgespült. Nach einer sms hat sich nachmittags zwar schon jemand gemeldet aber der Klempner konnte Samstag nicht kommen. An dem Abend haben wir bei OH angerufen und konnten für eine Nacht ins Hotel. Am nächsten Tag ...sind wir wieder in die Wohnung, aber es war noch nicht repariert. Also ab dann wieder ns Hotel, wurde aber auch bezahlt. Es war zwar sehr ärgerlich, aber so etwa kann natürlich einmal passieren: inzwischen gibt es wohl auch eine komplett neue Toilettenanlage. Wichtig ist auch noch zu wissen, dass es nur zwei 1,60 breite französische Betten gab. Vom Schnitt her ist die Wohnung aber in Ordnung, und auch von den Bädern her konnten wir uns gut arrangieren. Nah an der Metro, wir sind aber auch viel mit Bussen gefahren. Die Gegend ist zum Wohnen günstig aber es gibt leider dort keine echte Paris-Atmosphäre. Sehr geehrter Kunde, vielen Dank für Ihr Feedback. Der Eigentümer der Ferienwohnung hat bestätigt, dass das Bad repariert wurde. enough space, old however everything is there. Good location and safe apartment. Typical French area, pizzeria around the corner and bread/supermarket as well. Not expensive for the space in the accomodation. Bei Vollbelegung mit sechs Personen dürfte es in Bad und WC zu Stauungen kommen. Für gemeinsames Essen dann auch etwas zu kleine Küche und Tisch. Bis vier Personen absolut ausreichend. Toilette ist leider nicht entlüftet, d.h. der "Nachfolger" muss u.U. mit Geruchsbelästigung kämpfen. Aber ...sonst absolut empfehlenswert. Freundliche Kontaktperson und flexible Ankunfts- und Auszugszeiten möglich. Gute Lage der Wohnung, Einkaufsmöglichkeiten ganz in der Nähe, Metro nur wenige hundert Meter entfernt. Sehr freundliche, unkomplizierte Kontaktperson bei Wohnungsübergabe. Schöne Wohnung in einer rel. ruhigen Gegend. 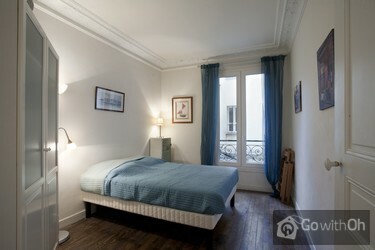 The location of the Apartment is excellent, Bus and Metro very close and Rue Moufftard in walking distance. Grocery shops, Pizzeria and Bakery across the road. The arrangements for the key as well as the state of the Apartment were all excellent. The furnishings were very practical, clean and comfortable. La limpieza del apartemento deja mucho que desear, justo cuando llegamos al apartamento nos encontramos con la familiar anterior que ya se iban, en ese momento llego la señora que se encarga de la limpieza del mismo y en menos de hora y media limpio el apartamento, claro esta que en tan poco tiempo... jamas puede quedar bien, si es cierto que la ubicacion y el aceso al transporte publico es excelente, tanto para visitar paris como para ir al disneylandia. ...direkt gegenüber gibt's eine Bäckerei, daneben einen Macaron-Laden, ein Monoprix ist gleich nebenan. Daneben gibt's einen Markt mind. 2x pro Woche vor der Haustür mit frischen Lebensmitteln. Mooi, schoon appartement. Alles wat we nodig hadden was er. Prima accomodatie om Parijs te bezoeken met gezin. Dichtbij metrostation. mooi appartementje voor gezin of 2 koppels in een nette buurt dicht bij metro. The owner always responded within 24 hours. 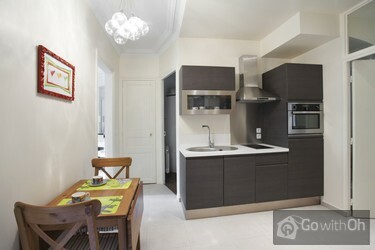 The apartment was spotless, very comfortable, and in a quiet building and neighbourhood. The mattresses on the beds were of very good quality but I was very surprised that the pillow cases were disposable. A part from this the linens and towels were very ...adequate. 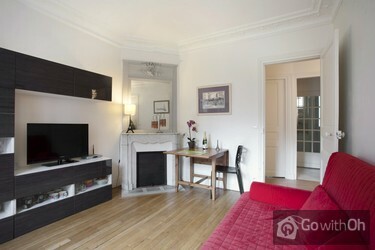 I would recommend staying at this apartment and highly recommend All Paris Apartments. I have rented apartments all over the world and this was the first organization to contact me one week before my arrival to remind me to contact the owner about check-in. I was also impresse that I was contacted on the day I checked in with numbers to call in case of any problems I may have encounteres. El apartamento está muy bien equipado con lo necesario para la estancia. La atención y facilidades de la propietaria y la persona encargada de la entrega han sido excepcionales. Ubicación bastante buena, pero al haber restricciones en las líneas de metro por rehabilitación, se nos complicó un poco el transporte. Die Verständigung war ein bisschen schwierig aber ansonsten war alles in Ordnung. Appartement très bien, chambres spacieuses et confortable. Dommage quil y ait eu des travaux dans l'immeuble au moment de notre séjour, Quartier sans charme particulier mais pratique car métro et supermarché à proximité. Personne de contact un peu difficile à contacter par téléphone mais une fois sur place charmante et disponible. 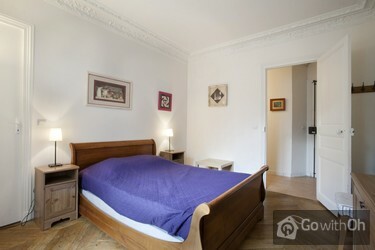 The price is a little bit high for the location, 11 metro stops away from the center of Paris (Tour Eiffiel).The bathroom and the kitchen were excelent, the matresses firm and in good condition, but the overall cleaniness of the appartment was in the limit to be considered acceptable. The pilows are... very small, there were not pilow linen, only a paper pilow cover.There were a lot of acarus and dust, the appartent appears not to have been vacum cleaned in months. My two children suffer from alergy and had terrible nights with dificulties to breath on account the accarus and dust. A 6 minutos del metro. Barrio muy tranquilo. A 8 minutos de zona de bares. Repetiré si vuelvo a Paris. Perfecto para 6 personas. Die Wonung ist für bis zu 4 Personen geeignet und in günstiger Lage um die Sehenswürdigkeiten von Paris einfach zu erreichen.Supermarkt, Bäckerei und Pizzeria sind in unmittelbarer Nachbarschaft.Buslinie 21 ins Zentrum vorm Haus.U-Bahnlinie M6 mit Anschluss an fast alle anderen Metro-Linien und ...Anschluß an RER-B-Linie zum Flughafen CDG in ca. 300 Meter Entfernung. Posítiv: Die Wohnung ist gut ausgestattet und obwohl an einer belebten Straße liegend, dank guter Fenster sehr ruhig. Angenehm war die vorhandene Spülmaschine. Es gab ausreichend Geschirr und ausreichend Stühle. Einkaufsmöglichkeiten finden sich in nächster Nähe: Bäcker gegenüber, kleiner ...Lebensmittelladen (geöffnet ab 14h bis nachts) in direkter Nachbarschaft und manchmal ein Markt in der Straße. Zu weiteren Läden und zur U-Bahn sind es nur wenige hundert Meter.Verbesserungsbedarf: In Bad u. Küche könnten Haken zum Aufhängen von Handtüchern/Geschirrtüchern angebracht werden.Das Wäscheangebot könnte großzügiger sein. Es gab nur 1 großes relativ dünnes Duschtuch pro Person und Einwegkopfkissenbezüge. Insgesamt aber eine empfehlenswerte Unterkunft. Wir kommen gern wieder. The apartment is not large but well planned and matched our needs. The subway is closeby, there are some supermarkets and restaurants in the area. The owner was responsive and flexible. Other than the toilet door (need to be fixed), others are good. Ein Appartement mit schönen Räumen, für 5 Personen (2 Erwachsene, 3 Kinder) ideal, ruhig - Küche zureichend ausgestattet. Bäcker, Supermarkt in direkter Nähe, Metro-Station in 7 Minuten zu erreichen. El trato de la `persona que nos recibió y las facilidades para entrar y salir muy buenas. La ubicación , aunque no céntrica, estaba bien porque la parada de metro está muy cerca. Los servicios del barrio muy bien, la calle agradable, la vista desde el apartamento igual de bien.Quizá la primera ...impresión del patio y el rellano frena inicialmente, pero al entrar el apartamento se corresponde con lo esperado, está muy bien cuidado, es limpio, luminoso, bien equipado con lo necesario para una estancia turística. Great accomodation! Large airy rooms. Easy to catch bus or take Metro. Added bonus of having some essentials in the flat left behind by other guests. Boulanger right over the road as well as supermarket. Market outside our bedroom window on Wednesday morning. Couldn't recommend it more highly. Ca. 5-7 Min. zu Fuß zur Metro. Obwohl an Hauptstraße ruhig! Bäckerei vis-a-vis. Supermärkte in der Nähe. Inchecken ging heel goed; uitchecken ging minder goed doordat de contactpersoon enige tijd onvindbaar bleek. Het appartement zelf was prima! Voorzieningen in de directe omgeving (metro op 300m), bakker en supermarkt binnen 2 min lopen. Een tip voor een parkeerplaats zou handig zijn. Wij hebben ...redelijk voordelig in de Wurtz-parking gestaan (ter plaatse online geregeld). 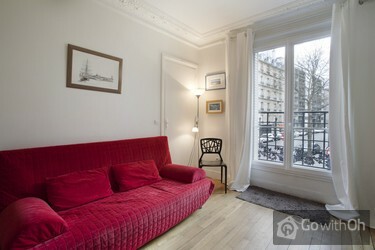 Très joli appartement, soigné. Souci principal : les pièces ne sont pas du tout insonorisées et on entend beaucoup, entre autres, les voisins du haut. Quartier calme mais excentré du centre de Paris. Pas de réels petit centre de quartier à proximité. Point positif : à deux pas de commerces et boulangerie. Clean, well-equipped, functional. Very close to Metro Glaciere. A good bakery opposite, 2 supermarkets just 2 minutes walk. On Wednesday and Saturday street market next to the house. Would highly recommend. check-in n check-out went smoothly. Metro, parkeergarage (Wurtz), bakker en supermarkt zijn dichtbij.Goede bedden, keuken is niet groot voor 5 personen maar het kan.
close to Catacombs and Pizzeria and nice park. No problems with apartment. Good location. Closed to metro station, mini market and bakery. Furnitures are dated. Needs new pillows for all bed. 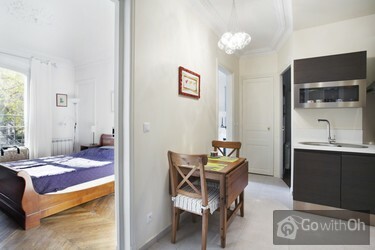 Appartement très propre, coquet et très calme, décoré avec goût, spacieux (nous y avons séjourné à 6 adultes), bien situé (le samedi matin un marché bien achalandé se tient à la porte de l'appartement), proche du métro et des commerces.Pour 6 personnes, un seul WC dans la salle d'eau ...est le seul point négatif, et l'immeuble étant ancien, l'insonorisation avec l'appartement du dessus est un peu juste (bruit de pas quand les voisins rentraient le soir).L'accueil par le propriétaire est très convivial.Nous sommes très satisfaits du séjour dans cet appartement et le recommandons vivement. Referente al apartamento , muy bello con todo lo necesario para una familia , excelente ubicación, solo lo único es el precio, si lo sentí un poco alto ya que, veníamos de otros lugares en donde fue más barato en Madrid por ejemplo el apartamento era más barato, igual de bien ubicado y mucho ...más grande. barcelona igual . Quizás sería lo único por lo demás como dije antes muy bueno. 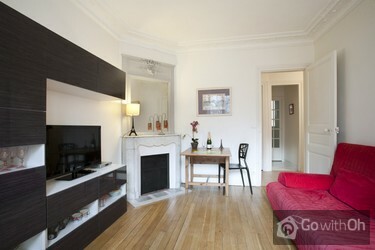 The location of the apartment is perfect, just a 5-min walk to Glacière metro station. Neighborhood is quiet and safe, with a great little boulangerie right across the street. Our host was very accommodating and helpful beyond our expectations. Highly recommend this apartment for a stay of any ...length in Paris (we were six and very comfortable, though we didn't spend tons of time inside). Solo el menaje de la cocina era un poco escaso, a parte de esto, todo perfecto! Fantastic apartment, we were a group of very high maintainence females and found this apartment to accommodate all our needs. Quite close to Glaciere station. The area has more social housing and so a certain type of individuals roam at night which did make it uncomfortable we were howled at by a ...group of boys on two occasions at night when returning to the apartment. Not many tourists in the area. ONLY ISSUE - As we travelled from the UK we did not have a french phone to contact the owner but were told via email the owner would be at the apartment. This was not the case and luckily we asked our taxi driver to call the owner who then after 5 minutes met us outside the apartment. Had our driver not done this I don't know how we would have got in contact wth the owner. La estancia fue perfecta, el dueño muy amable y facilitándonos información, taxi, y dispuesto a ayudarnos en todo. El apartamento es ideal, 2 habitaciones de tamaño correcto y comedor también. Cocina con mesita para comer pequeña pero funcional y cuarto de baño correcto. La ubicación muy ...buena a 4 minutos de parada de metro Glacière y ubicado en un barrio tranquilo.Lo recomiendo 100%. Un grazie particolare ai proprietari per la loro disponibilità e gentilezza. Non abbiamo incontrato nessun problema soprattutto grazie ai loro consigli. Appartamento ottimo, pulito, attrezzato e ben arredato. Toilet seats are not comfortable.